In high school, I discovered watercolor painting. It was love at first sight. I eagerly invested time and supplies to become like seasoned watercolorists whose extraordinary works of art I admired. Though I was passionate about this medium, I soon discovered it wasn’t as easy as it looked at first. Too much or too little water and paint that bleeds into other colors can create what artists call mud. Coaxing purity and luminosity from paint and paper took more practice than I ever dreamed. I saw hints of another kind of purity and transparency when I began dating my husband. A year ago my daughter said “I do” with similar excitement. Her gorgeous autumn wedding was preceded by a couples shower, generously planned by friends and family. Most married 5 years or less, the attending couples shared their newly acquired wisdom with Laura and Josh. Last to share were our son, Samuel, a marriage therapist, and Stephanie, his wife of 16 years. This morning I walked into our kitchen to find my early-rising husband cleaning the island, his favorite landing strip for backpack, file folders, keys, and mail as he flies in the house after his day at work. Never mind that his office is literally three steps inside the front door—the kitchen is where his wheels touch the ground. Years ago, I made my request for a tidy island known. I decided not to sweat the small stuff. “Love covers a multitude of sins,” wrote Peter the disciple (1 Peter 4:8). Literally seconds later, I saw three empty plastic water bottles on the clean side of the island. I asked if I could help and throw them away. He said no. Instantly my heart became judgmental, silently accusing, Seriously?! We have multiple Yeti mugs and too many insulated water containers already. Unbelievable. And then I heard a prompting, “You have idiosyncrasies too.” Yes, Lord, You are right. I decided to sweat the small stuff this time. This small attitude of superiority in my heart, if ignored and not confessed, would become a veil between us, clouding the transparent purity of our hard-earned marital intimacy. Dennis and I are not beginner artists anymore. Experienced, yes, but not exempt from ongoing difficulties in creating the beautiful art of our marriage. 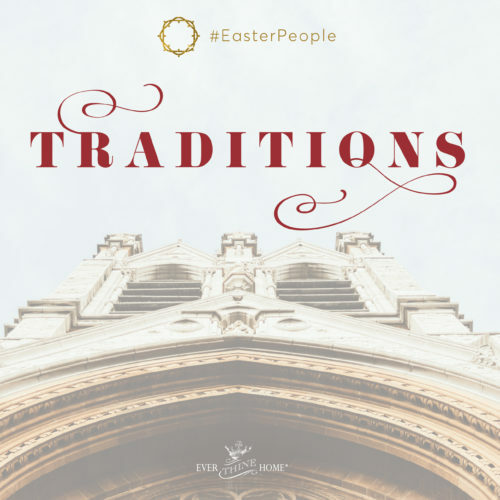 Our union is our own unique painting of God’s image in us—the mysterious sketch of Christ and the church. This high and holy art must be nurtured daily. And so I chose to confess my small but potentially hurtful attitude, knowing it wasn’t pleasing to the One I love most, my divine Artist. My husband never heard the brush of dark, ugly paint that almost made mud. The small stuff ruins daily intimacy and oneness. And it adds up over time, dulling the Light of the World, Who longs to be seen in us. For a long time I did not understand how easily His light can be hidden, nor did I understand how brightly He can shine when the dark big stuff comes uninvited to our lives. Finally, I remembered a principle of art: The light of pure paper or white paint shines brightest when it is contrasted with the dark. Master artists use deep, dark colors next to, even touching the lightest lights. In marriage, it means trusting the Master Artist when He executes this technique to reveal more beauty and luminosity in your marriage and in mine. Over our forty-plus years of marriage, we have experienced more dark paint on our canvas that I ever imagined, including near-death experiences, handicaps in our children, a decade-long prodigal, financial setbacks, the death of a newborn granddaughter, and many agonies known only to God. The big stuff, the dark swaths of deeply pigmented paint, can kill many marriages. But the truth is that hardships and suffering often reveal transparency already dulled—oneness already compromised, the light of Christ already hidden behind layers of silt. 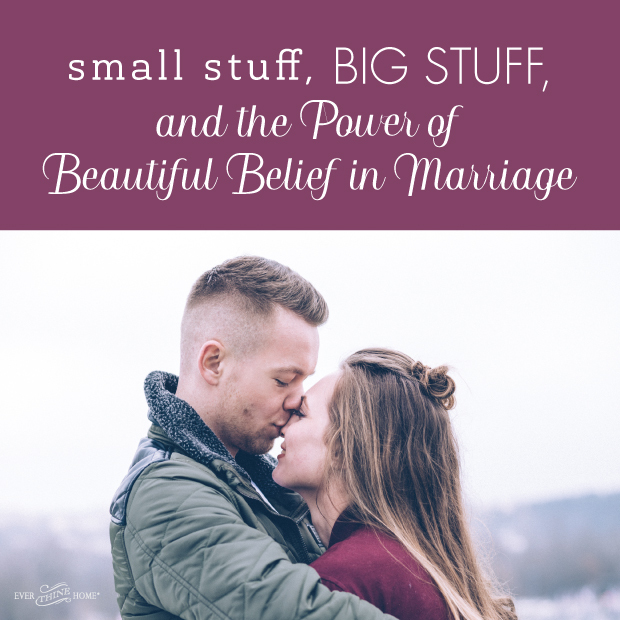 When the small stuff of marriage isn’t diligently attended to, then big-stuff crises provide plenty of reasons to quit an already muddy marriage. The promise of “I do” that I made, that my daughter made, that you made matters. But here is the best promise of all: “Nothing is too hard for God” (Jeremiah 32:17). God knew we’d need this promise from Him, because our promises fail. In His amazing grace He repeated this vow eight times, one for each day of the week plus an extra to make His point clear. 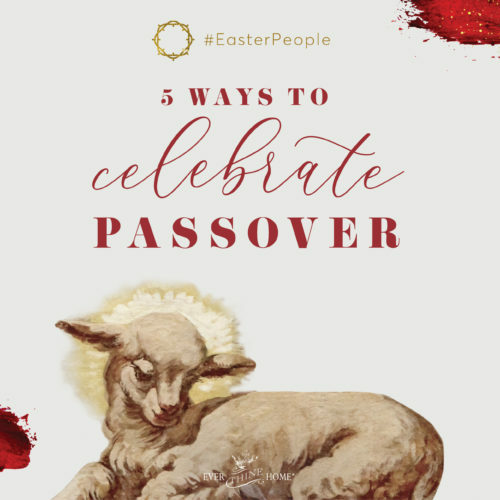 No marriage, no spouse, no circumstance is too hard for His redemptive resurrection power. Our marriage has been harder than we dreamed but so worth it in the end. Because we haven’t stopped believing in each other or our Savior, we’ve beheld the beauty of God’s transformational power. I want to shout this truth from the rooftops, to proclaim it as loudly and widely as I can: The art of marriage is worth the effort, worth the work! Like Jesus, who for the joy set before Him endured the cross, we too can find great joy and fulfillment, even happiness, in marriage if we believe in God like Jesus did. When a spouse decides to quit, it’s a refusal to believe. Quitting on wedding promises is ripping up God’s glory, throwing the mud of unbelief on His painting in you before it’s complete. It’s refusing His arm of love reaching for you! Oh, where would we be if Jesus had given up? Where would we be if He had quit? The good news is He didn’t! I’ve seen miraculous proof in thousands of marriages stained with the most egregious sins, yet resurrected by a God for whom nothing is impossible. May you courageously, tenaciously believe in Jesus’ resurrection power for your life and marriage, in the small stuff, in the big stuff, and till death do you part. This post was originally shared on Ann Voskamp’s blog. Our marriage is just shy of 6 years. 3 months before our wedding I became ill. Was in the hospital until the Wednesday before we were married. Fast forward to now, we have started have peace that God’s plan may not include healing. Our belief is God can heal at the blink of His eye, but we ever have to trust, believe and love and be faithful even if He has a different plan. I share because months ago, I picked up my brushes, inks, my favorite water mug and sat down before those pristine white pages. How I have been so selfish during these years. And I imagine running all the colors together till you cannot see their individual beauty. How I have allowed priorities and fought over things that bad I taken this approach we may have more vibrant colors, breathtaking when paired with the greater white. I have loved my husband, i thought more than anything. But I cannot love Him as he deserves with out that relationship with God. I feel our canvas is marred with shakshes of mud and black wounding strokes. Yet the promises, how could I ever forget the promises!!! Praise God, there is nothing impossible for Him. How this resonates with me. This has changed my heart and while we may have the mud and dark dark areas – He can still create a masterpiece. 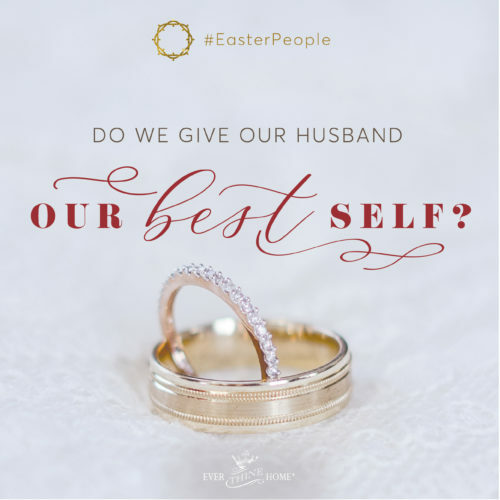 I want to be the woman after God so completely and transparently that my marriage is a reflection of God. While initially I ached for the time wasted – I remembered again, God is bigger than it all. May this capture me as a wife praying for her husband and may He capture us both – with a renewed desire to follow above! My illness has not be some random roll of dice. This has been a journey together following God. I can even see now how it has a beauty in our marriage. Brought us closer, even in times of what felt we were being ripped open. How I pray God will work on me to be what He has shown me above. I’m so sorry this is long and I don’t feel I expressed it well. Thank you for this message. Thank you for sharing your heart and your story. I wish i had words to share what God has already started to do. Don’t give up. Nothing is impossible for God. Not even healing a divorced marriage. Find rejoice marriage ministries. Your message and please for prayer truly just spoke directly to me. I asked my husband and we are going to commit to standing with you and praying for your marriage, your wife and you. Remember the promises above. Remember nothing is too big for God. Your brother and sister in our amazing God!!! Nice to see that the husband wants this marriage to work. Many many years ago I had a straying husband and, of course, blamed him for everything. Until, one day I started to read a book for women by Evelyn Christenson. She suggested that while praying for a mate we first ask the Lord to help ME. Show me how I could change, what I could do differently, to concentrate on ME instead of using the blame game. How was I sinning against the Lord? Needless to say, the message got through to me and I was never the same. I might suggest this for this poor man that finds himself about to lose his wife. He may be shocked at what he discovers about himself. This spoke so deeply to my heart. I will share this with the girls I mentor in MOPs. Thank you for your transparency and encouragement Barbara! My name is Bev and I was asked to reply on Barbara’s behalf. Thanks for taking the time to comment on her blog post. I agree that God can do the impossible. That is my story. I also know that it can be a long messy process. In fact, the process never ends. I do believe He wants us to experience righteousness, peace and joy in the Holy Spirit, regardless of our circumstances. I also believe that He has established ways to relate to others. The Old and New Testaments have all kinds of rules regarding relationships. God is concerned with how we treat others. There isn’t a more important relationship than marriage, hence the marriage covenant. We should fight for our marriages because we have a very real enemy as you well know. The question for you is, what does it mean to love your husband? Does it mean tolerating his sin? Or does it mean loving confrontation or even intervention? I do not believe God ever meant for women to tolerate their husband’s unfaithfulness or abuse. Loving yourself means having healthy boundaries. I believe this is where learning to trust again will begin. I would suggest checking out Leslie Vernick’s website. She has lots of free resources and addresses the issue of having healthy boundaries. Whether it is infidelity or abuse of any kind, she will help you through the process of navigating these difficult situations. Thank You for bringing Leonda to our website. Nothing is by accident. I thank You that You are a good Father and want the best for her marriage. Sometimes the process is painful, but light exposes the darkness so that we can address it. I thank You for the grace and courage that You provide to walk in the light and truth of Your word. I ask that You would use the resources to guide her steps. I ask that You surround her with songs of deliverance and the peace that passes all understanding. In Jesus’ Name. Amen. So lovely! Thank you so much!!! Great, powerful message. Thank you very much Barbara for sharing. Profound truth indeed! God bless you. Wow—this is such a beautiful and powerful message, Barbara! Thank you for sharing it with us. ← Remember Your First Love Promises?